There is no shortage of Wi-Fi smart plugs, but most of them are pretty expensive for what they are. Belkin's Wemo smart plug, perhaps the most popular product in this category, is currently $30. 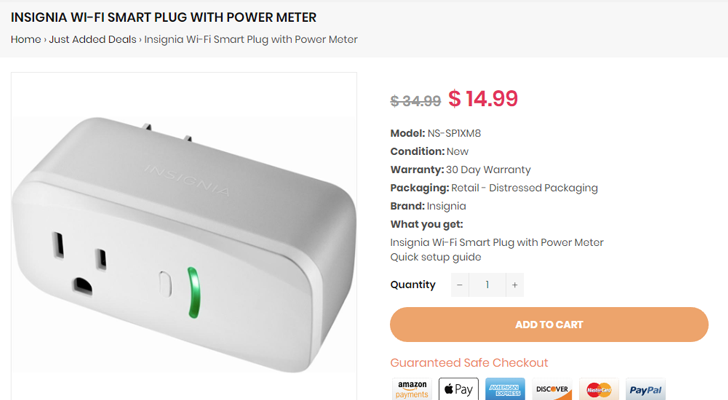 If you're looking to save some money, Best Buy's Insignia smart plug is just $11.49 from Daily Steals when you use our exclusive coupon.